1. 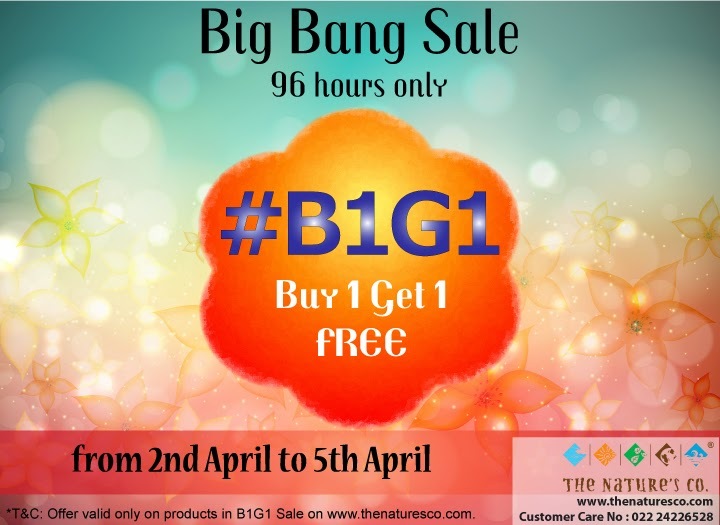 The BIG Big Bang Summer Sale (Valid for 92 Hours only) - From the 2nd of April to the 5th of April, enjoy the luxuriance of buying one product and getting another one ABSOLUTELY FREE on www.thenatures.com . There is definitely no better time to embrace the refreshing powers of Mother Nature than now! Products under B1G1 Sale Tab only. 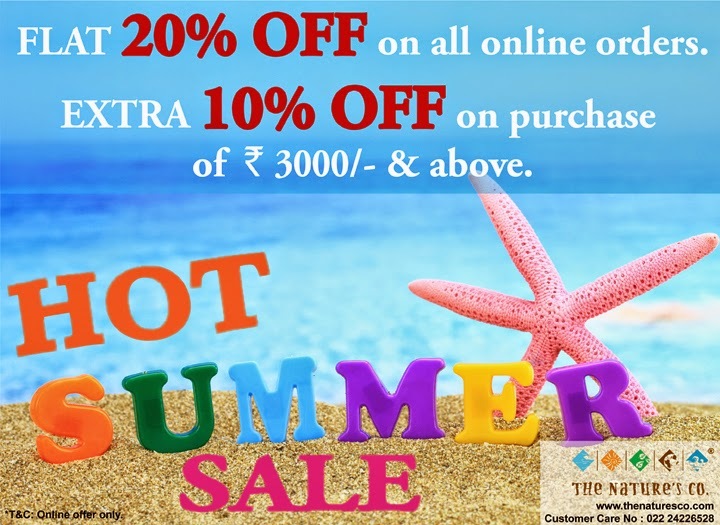 2.The Hot Summer Sale - This sultry solstice also brings along an invigorating, fresh wave straight from the Nature Gods - A Flat 20% off on ALL ORDERS placed by TNC online shoppers on www.thenaturesco.com and an added extra 10% off on purchase of Rs. 3000/- and above, definitely calls for a sign of relief in the warm weather. 3.Sun Essential Kit - Lazy days, slipsh-splash, rays of sunshine, icecream and popsicles, giggles and smiles, sunnies, swimwear, twinkling stars, camp fires, s'mores, and The Nature's Co. Sun Essential Kit! 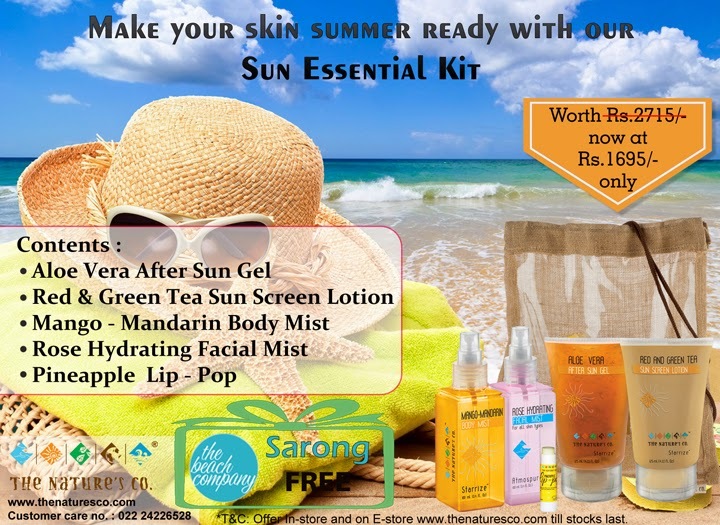 TNC gets you beach ready with theirSun Essential Kit now at a special price of Rs. 2715 Rs. 1695/- only! Also comes with a complimentary sarong from The Beach Co. to enjoy the sunshine without a care in the world. 4. Exfoliating Body Wash - Dive into the goodness of Natural Beauty and leave your skin gleaming and sparkling with this season's special - TNC's Exfoliating Body Wash. Surrender to this fruity mix of natural exfoliators in 3 distinct flavours - Kiwi, Cranberry and Lemonpeel endowed with all it's benefits, now at Rs. 845 Rs. 695/- only. Limited period offer, so indulge now! In Store as well on E store. 5. NEW LAUNCH - Inspired from our founder's visit to Amalfi Coast, Italy, The Limoncello Brightening Face Wash, refreshes, energises and takes you back to the surreal beauty of Capri. 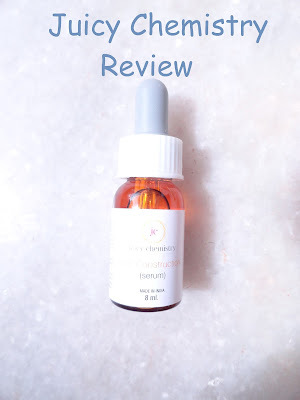 This exotic mix helps remove tan, enhances your skin tone, lightens your complexion, balances your skin's PH levels, removes dirt and oil from your face giving you luminous and smooth skin - All at Rs. 695 only. 6. 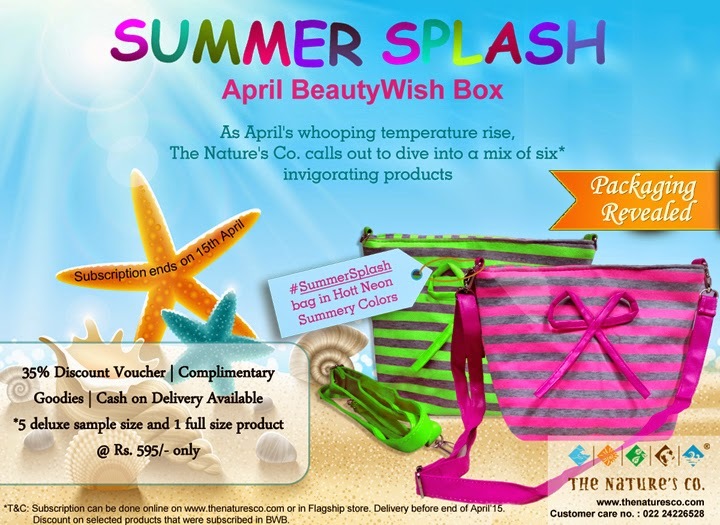 #SummerSplash Beauty Wish Box - Your ultimate beauty guide to avert this April's heat - Now with the hot Packaging Revealed! Stemming from the season’s need, the Summer Splash BeautyWish Box - an exhilarating obsession to possess, now includes one full size and five deluxe sized revitalising products packed in trendy, hot neon coloured, summery bags at Rs. 595/- only. This relief of letting you dive into the goodness of rejuvenation also comes with a 35% discount voucher, complimentary goodies and an added advantage of cash on delivery service available. 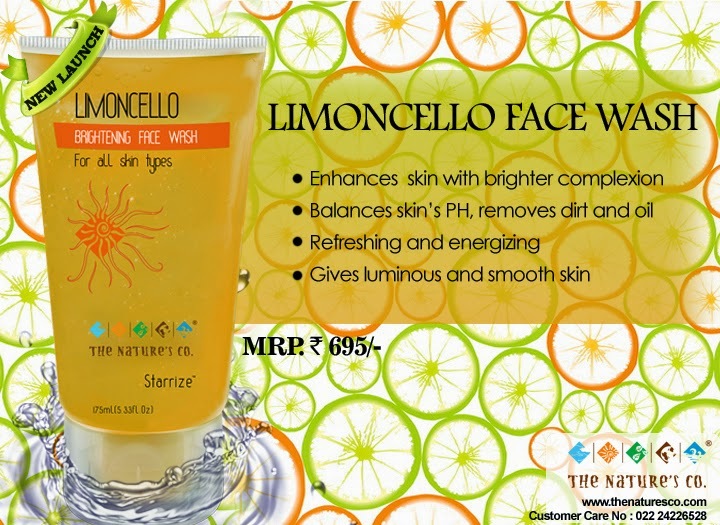 So why wait to liberate from the sultry, scorching heat and look your natural best this summer! Subscribe now instores or online at http://bit.ly/1t243wj.